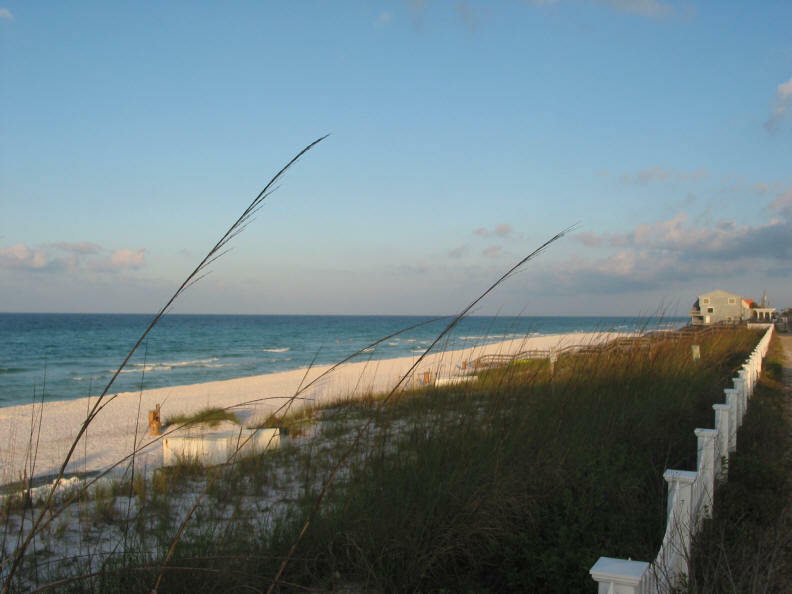 Our condo is just steps across from street from this beautiful beach with deeded beach access. 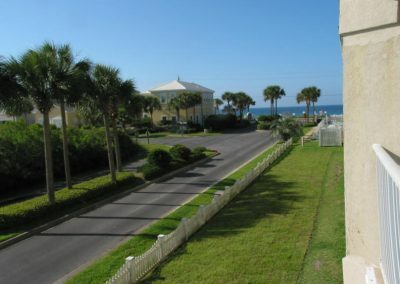 The view from our condo towards the beach. 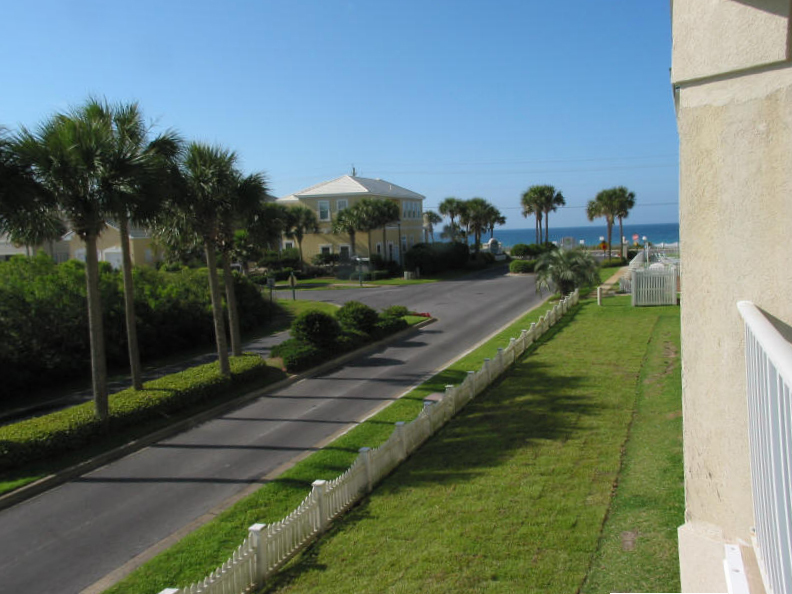 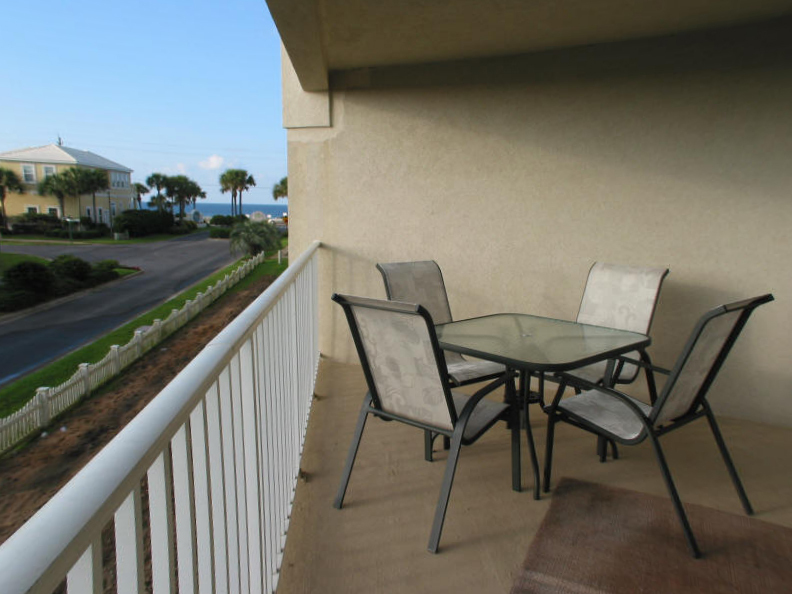 Walk out to the balcony from the living room or master bedroom for a stunning view. 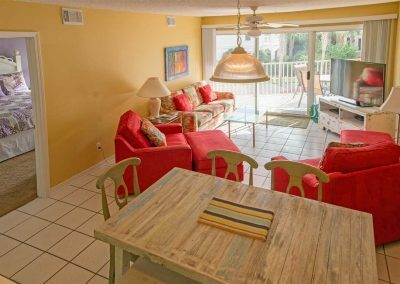 The living room opens up to a patio with Gulf views. 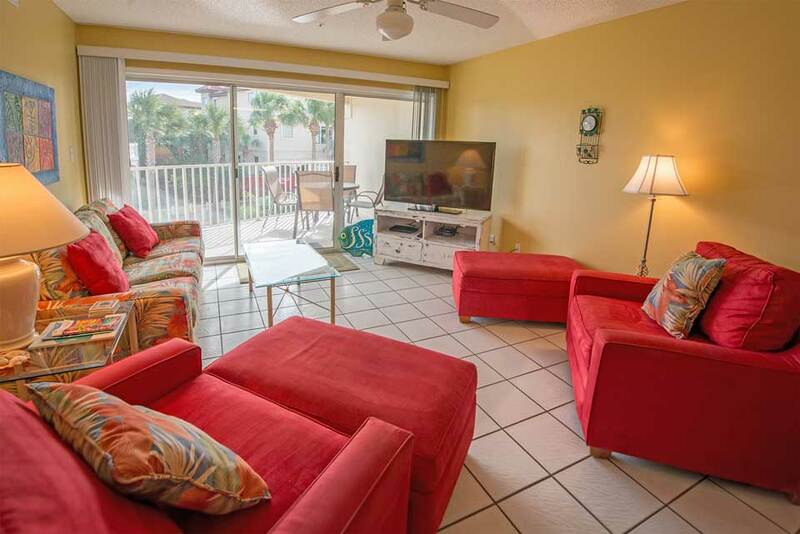 The living room has a 55″ LED HD TV and a queen size sleeper sofa. 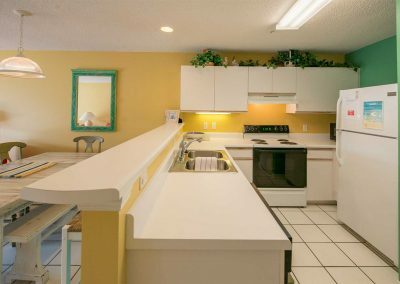 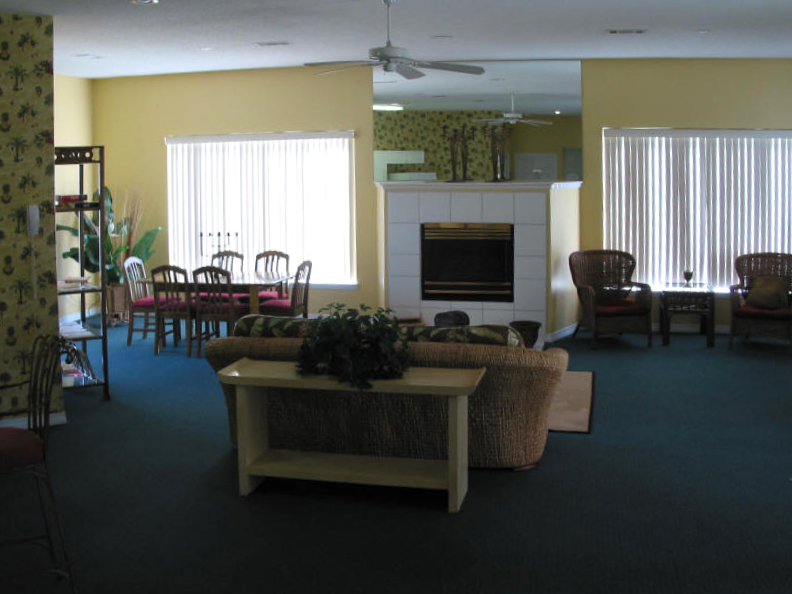 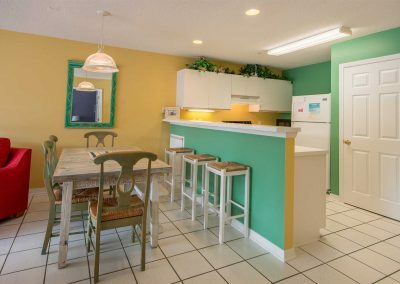 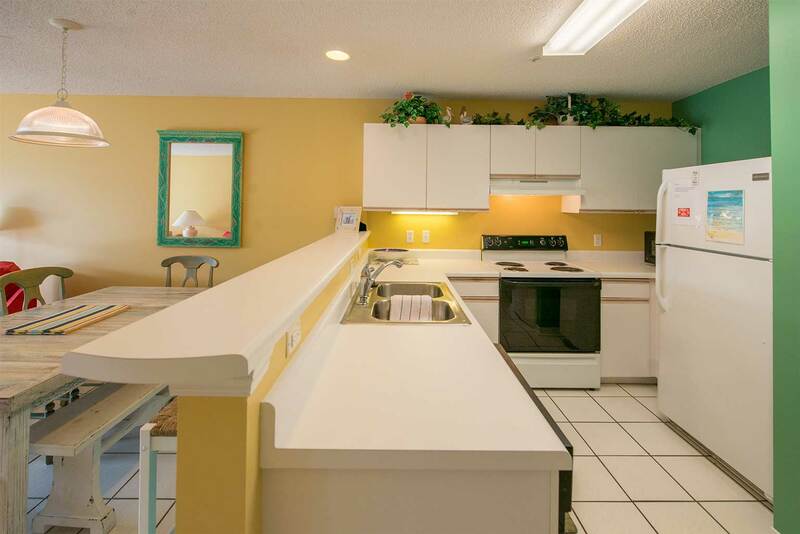 The open floor plan allows everyone to gather in the same area. 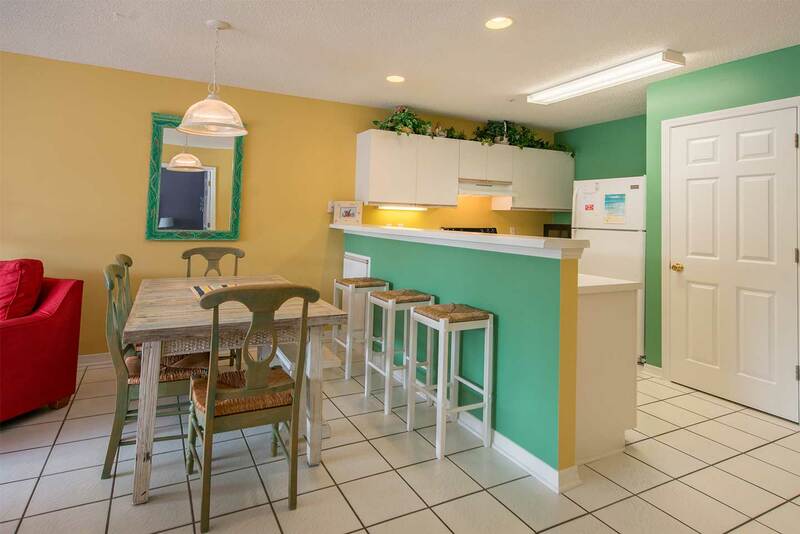 The kitchen table seats six comfortably, and four more people can sit at the breakfast bar. 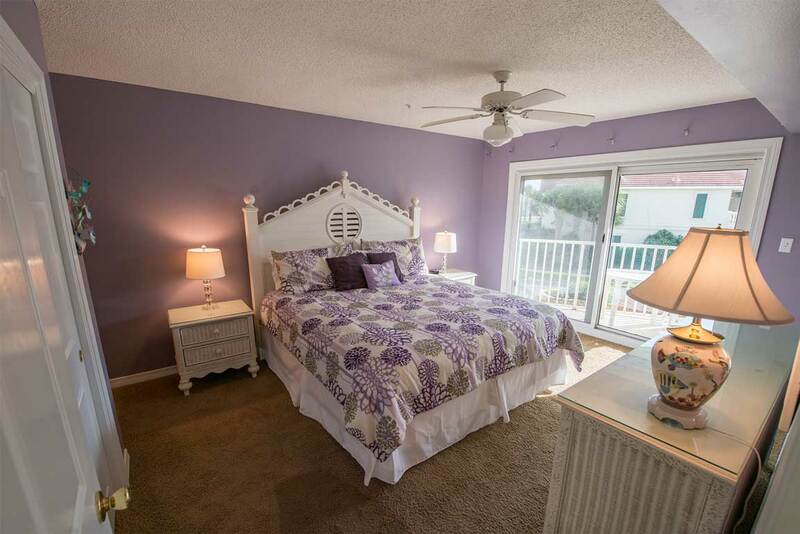 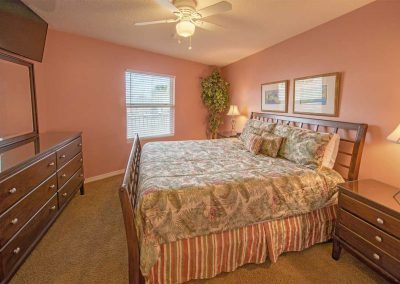 The Master Bedroom has a private bath and opens to the balcony with Gulf views. 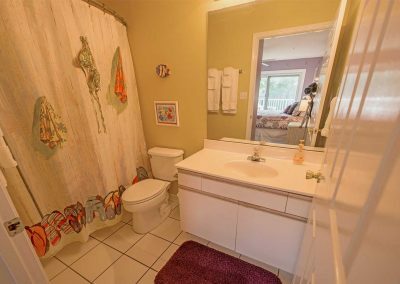 The master bathroom is private. 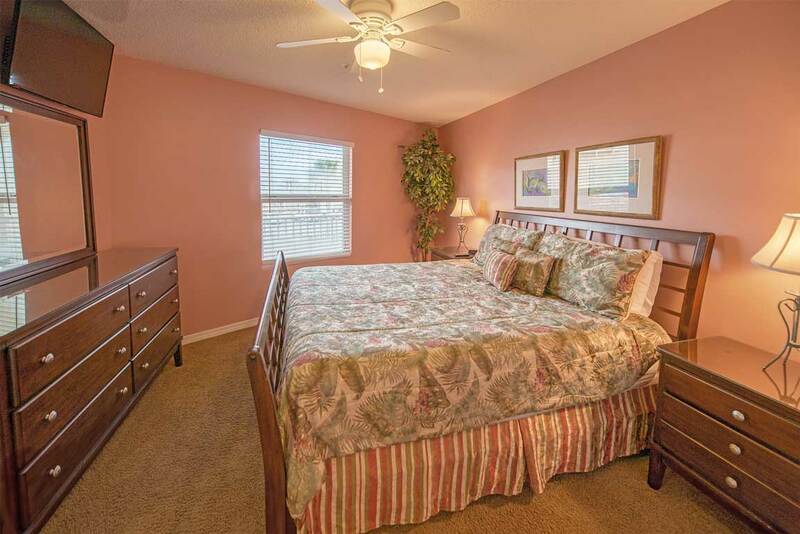 The second bedroom also has a king-size bed. 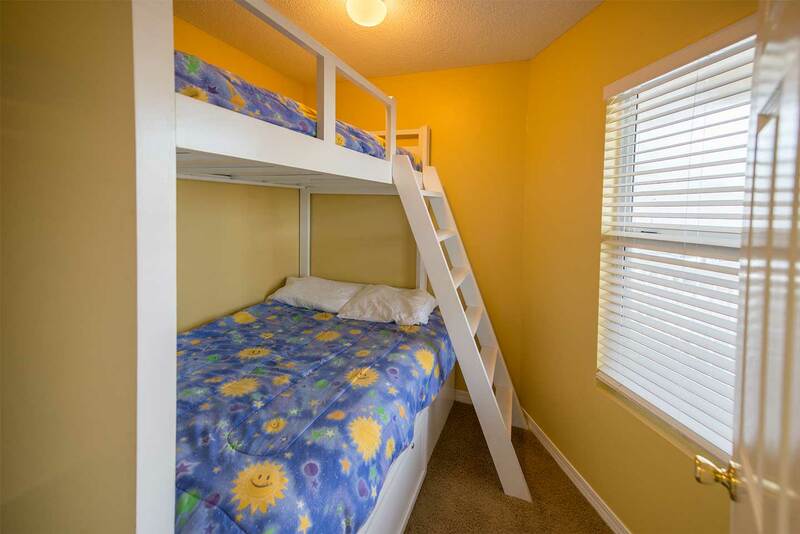 The third bedroom has a twin-over-full bunkbed. 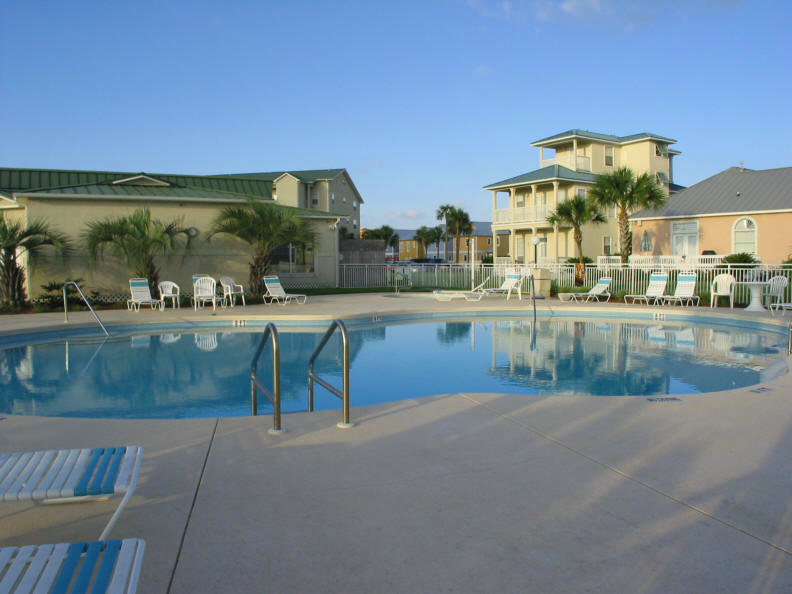 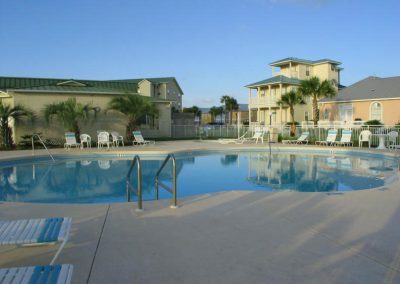 Enjoy swimming in one of two pools at the condo complex. 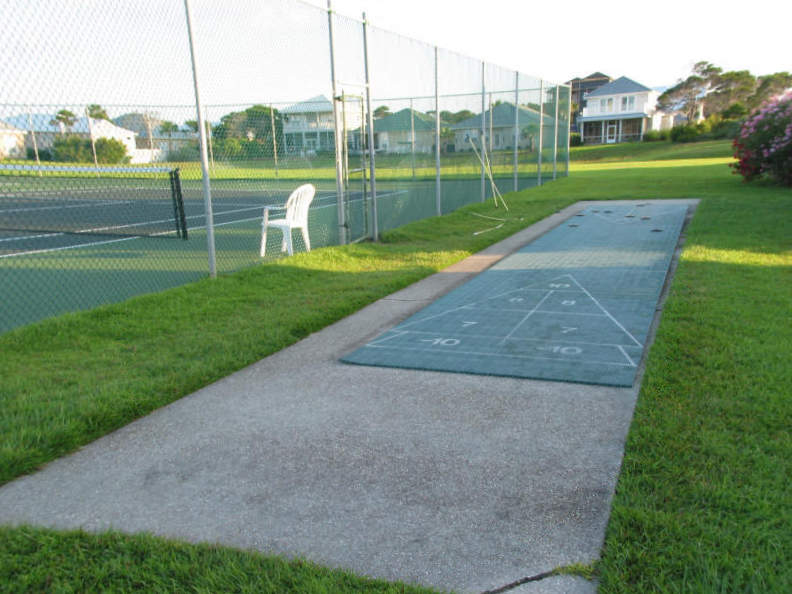 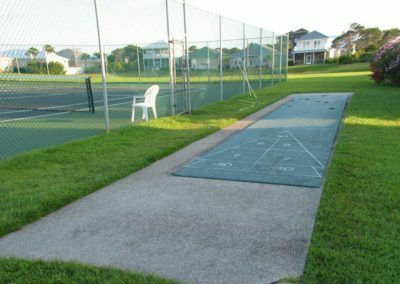 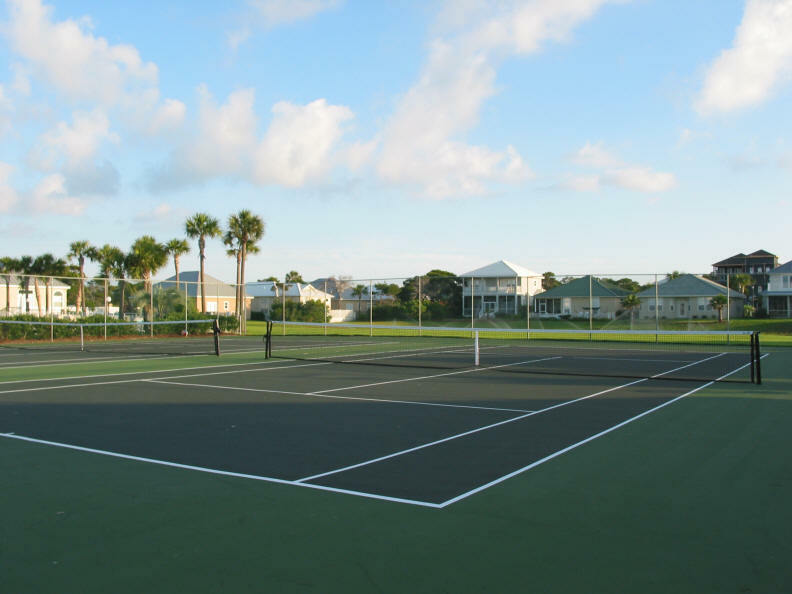 Maravilla has a tennis court, basketball court and shuffleboard. 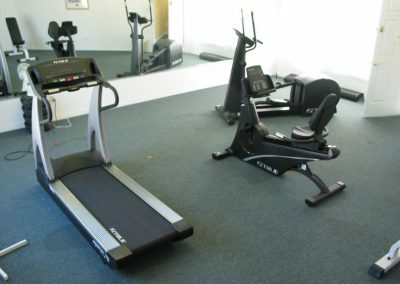 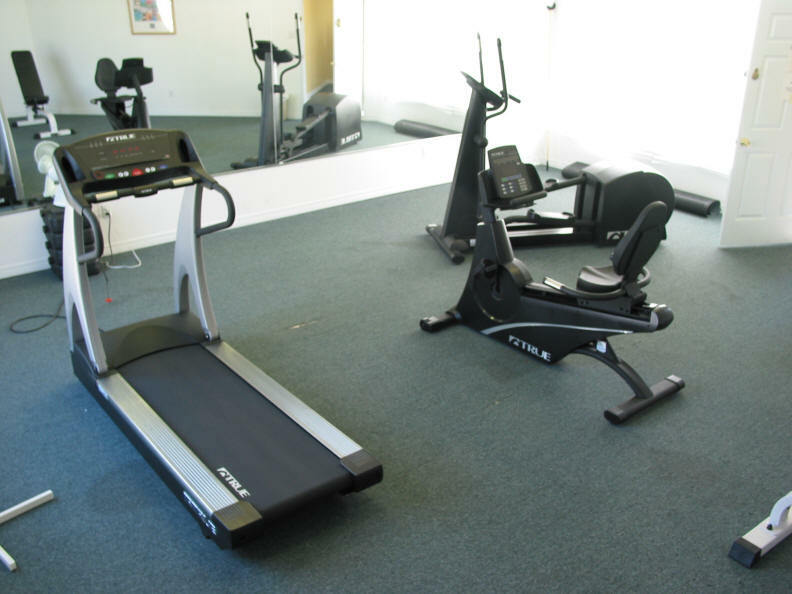 Enjoy the exercise room at the condo complex. 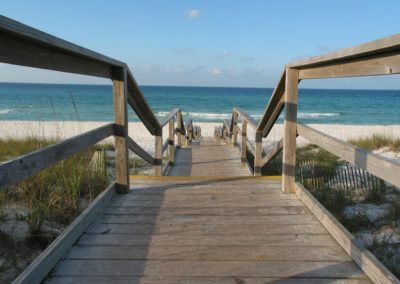 The walkway to the beach. 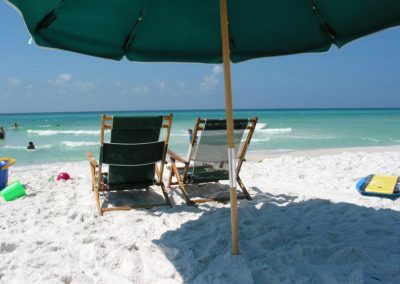 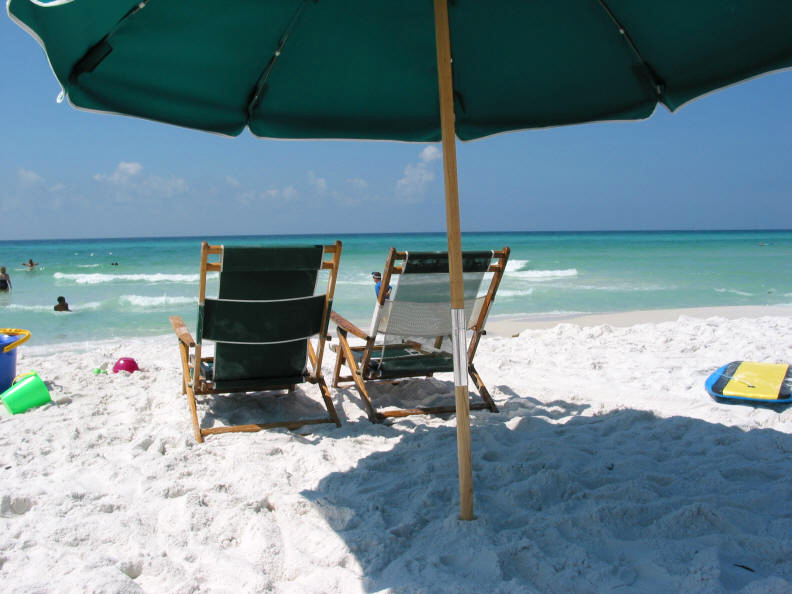 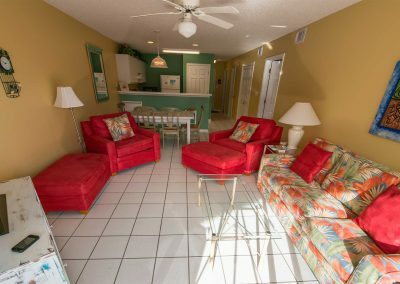 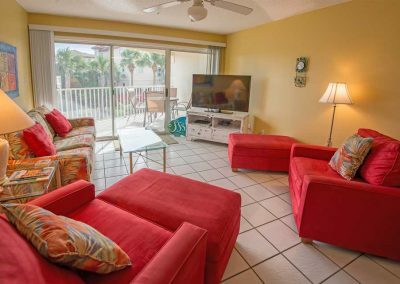 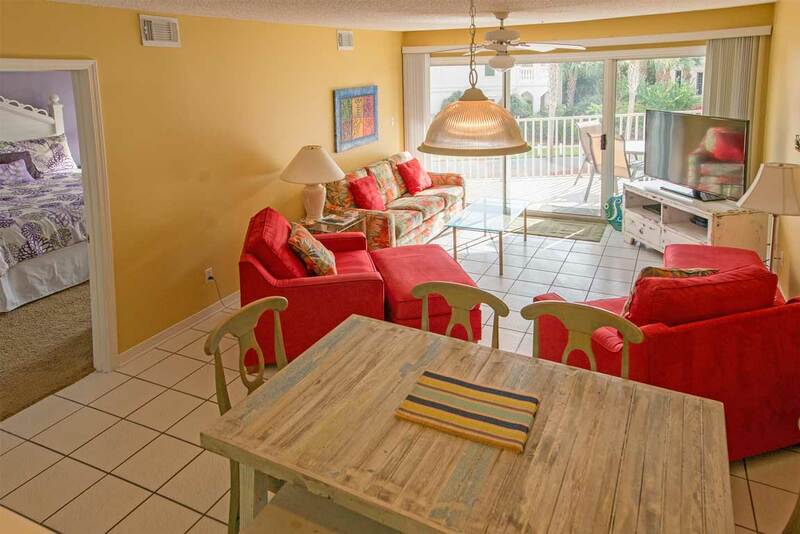 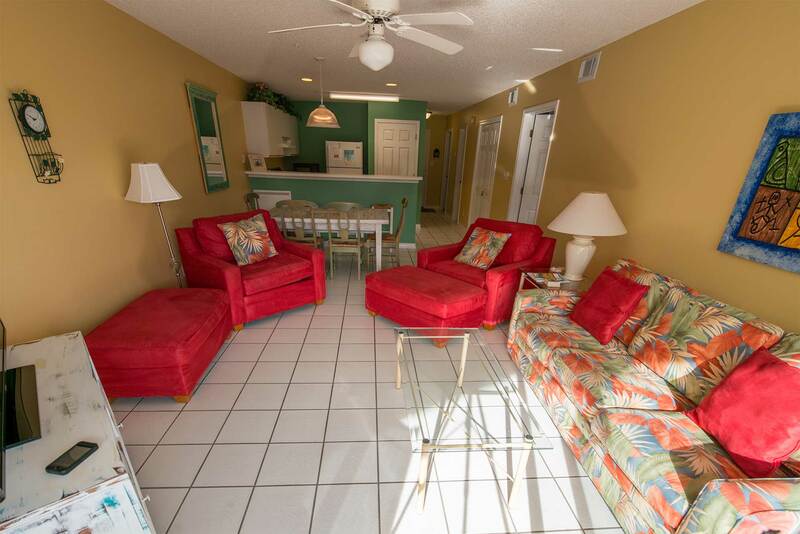 Two beach chairs and an umbrella set up are included in your rental. Enjoy beautiful sunrises in the morning and sunsets in the evening. 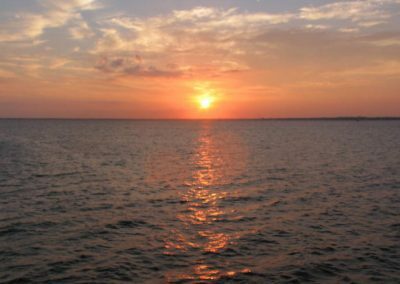 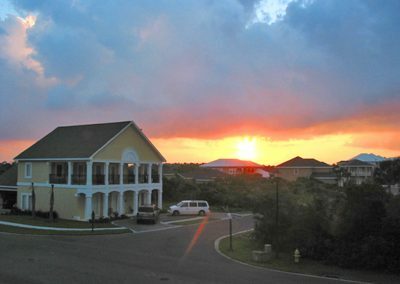 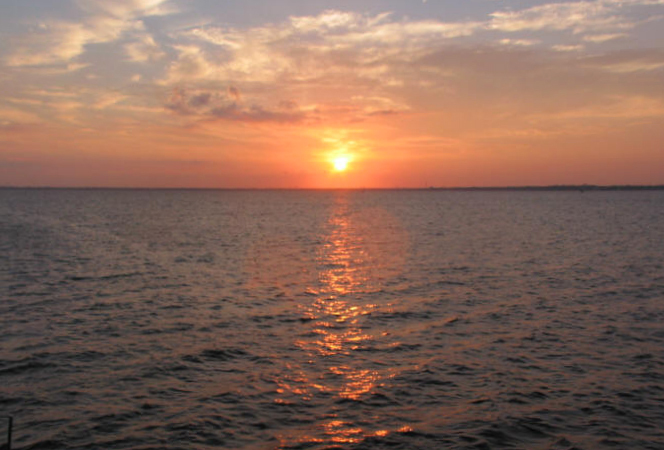 A balcony view of one of the Gulf Shore’s famous sunsets. 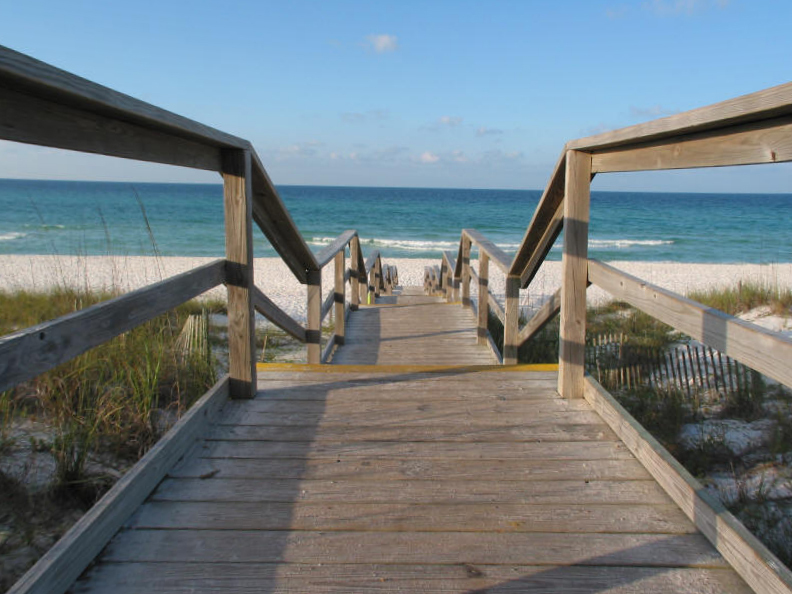 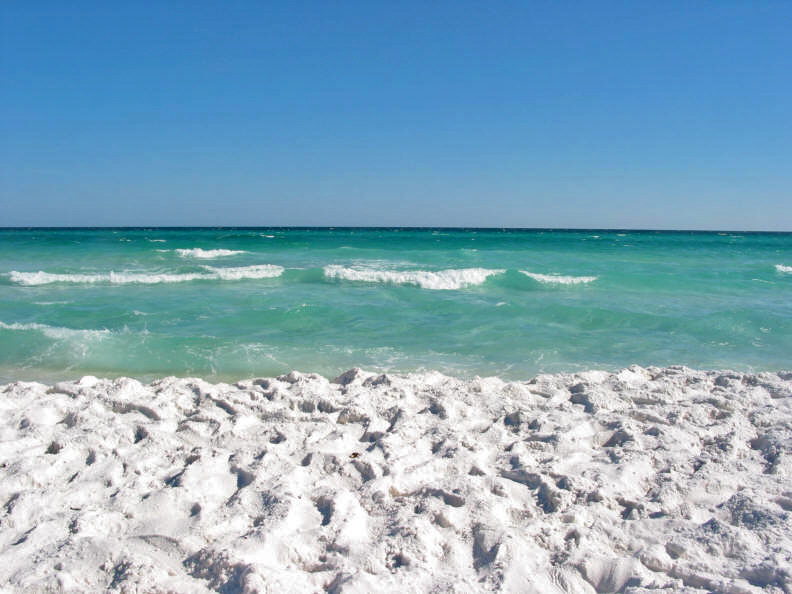 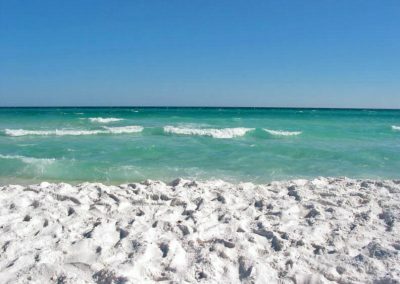 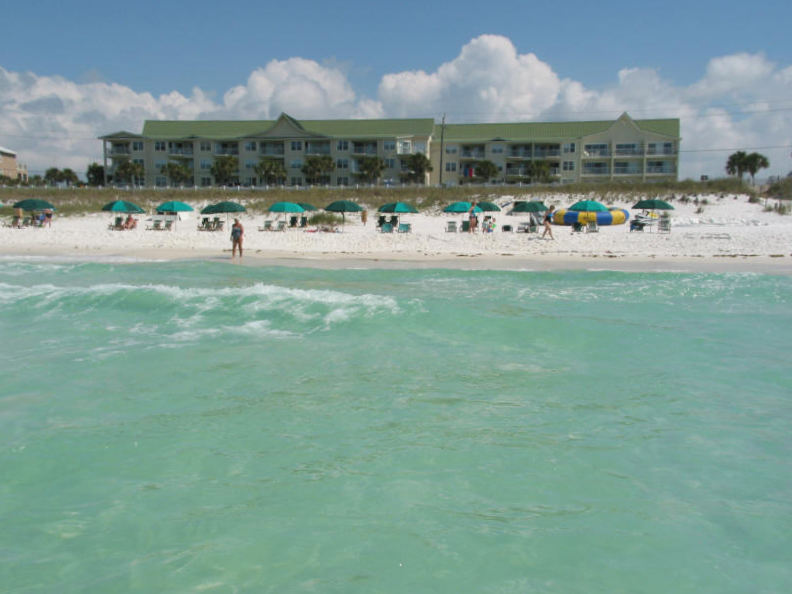 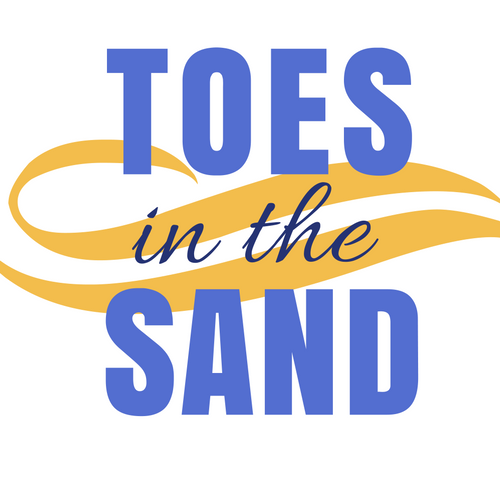 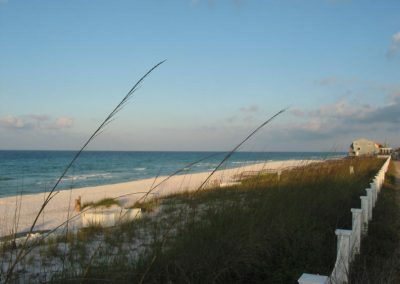 Dip your toes in the white sandy beaches that make the Gulf famous. 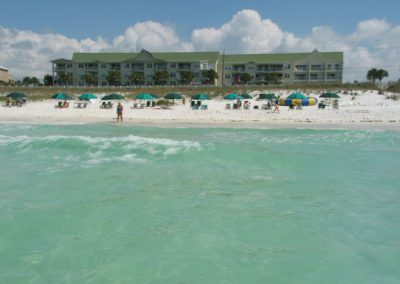 Swim in the crystal clear waters of the Gulf. 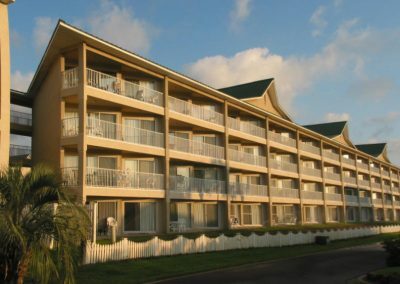 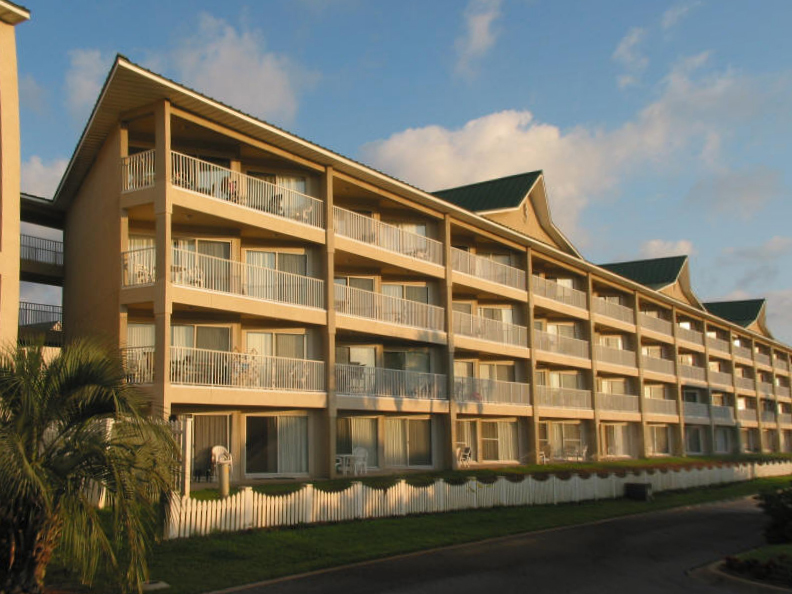 Our condo is on the second floor of the building and has elevator access.